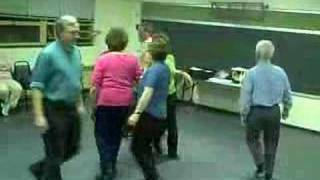 The Dance of the Week for this week is a ceili dance called the Fairy Reel. It’s a standard Ar Rince Foirne dance that’s used for competition as well as danced just for fun! Follow the link for full instructions. If you’re like me and you just don’t want to have, keep track of and think about the security of yet another web site login, a new addition to DanceMinder may interest you. Facebook login. You can now choose to use your Facebook account to log into DanceMinder and you’ll immediately be granted user privileges. Just click on the Facebook icon on that you’ll see on most pages and you’ll be taken to Facebook where you can authorize access to your basic information. You’ll then be taken back to DanceMinder where you’ll be logged in as a DanceMinder user. It’s that simple and you’ll immediately be able to use DanceMinder as a full user.